On so many levels this is classic Apple. 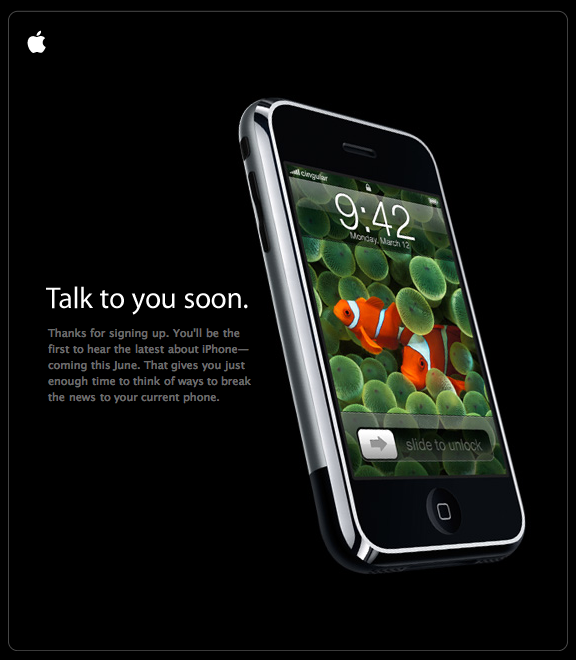 Update 1: The graphic I uploaded from the email I got from Apple has misteriously disappeard. I’m guessing it’s some copyright issue, but I recieved no notice from Apple or Google, just that the graphic was gone. Interesting. Update 2: Looks like I’m too paranoid, the picture is back. Must have been just another blogger bug. signed up for so long for so little 😦but then again… it’s better than receiving the first e-mail at June, the time when it doesn’t matter.